I am standing in the avenue of the legendary Okuni Shrine. To my left I am flanked by a mythical pond with a red moon bridge beaming over it, casting its presence onto the still water below. On my right there is a courteous priest pointing out how the light is piercing through the trees playing with shadows in the woods. This is as I am inhaling deeply to fill my lungs with the sacred air, distinct from the air on the other side of the magnificent torii which marks the divide. The divine air is fragranced by the distinct smell of freshly rained on tree bark. The invigorating taste of Yamacho Meicha green tea still lingers on my tongue, tantalizing my taste buds. My senses are heightened. 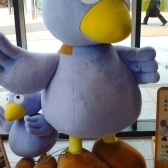 My soul is alert. And I have an epiphany: green tea is more than just a way of life, it is part of the very essence of Mori-machi and its people. I am sure others have made this realization much more quickly than I did. 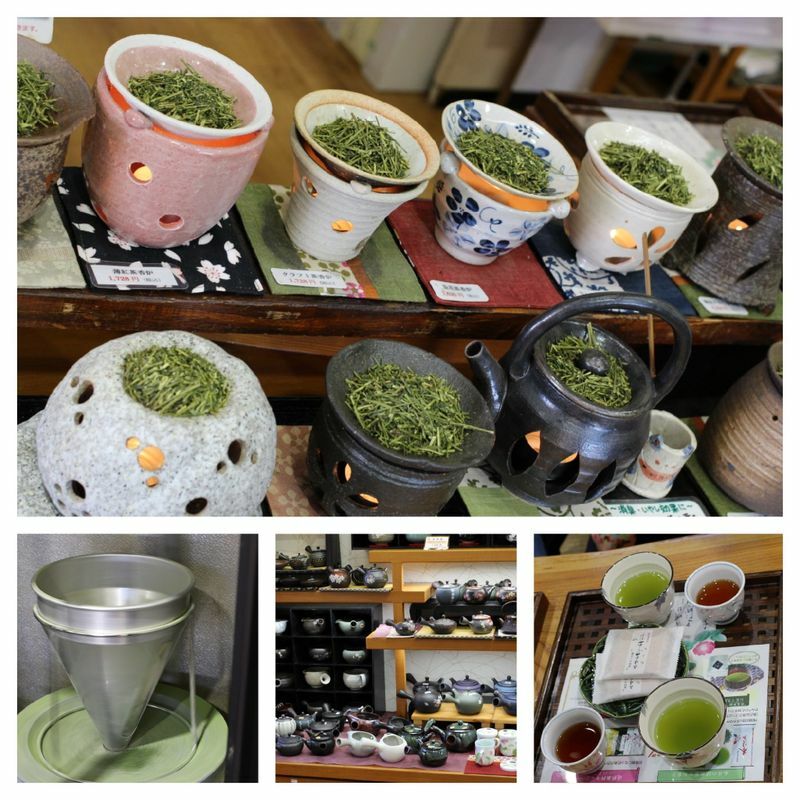 I have always known just how important green tea is in Japan and how it is an intricate part of their culture. 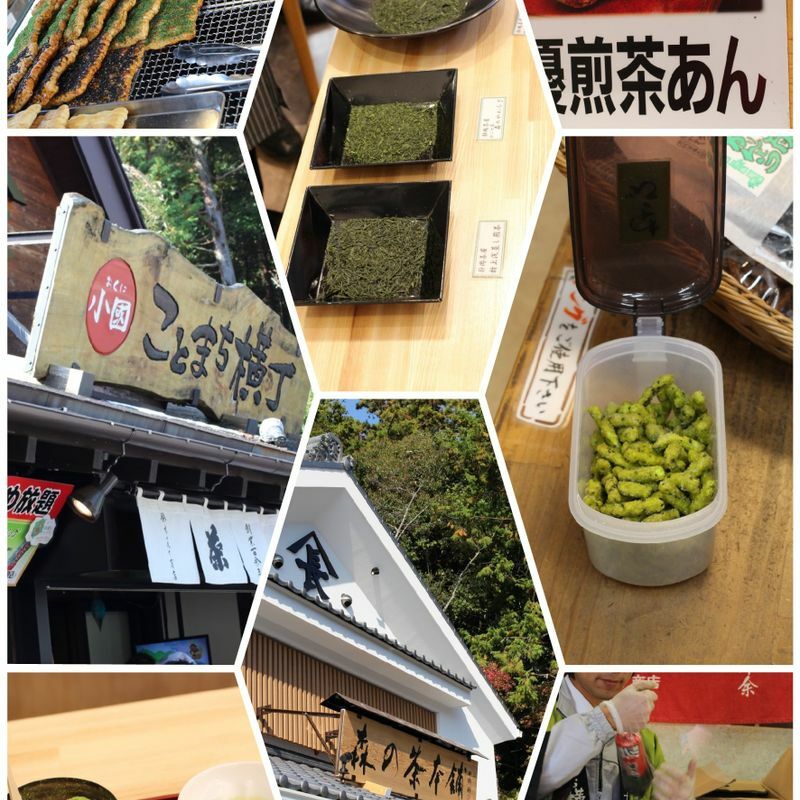 And indeed, on both our green tea tours to Shizuoka people we met have mentioned that “tea is a way of life in Shizuoka”. Anyone who has spent any length of time in a green tea area can appreciate that, but by visiting Mori-machi in Enshu Shizuoka you become distinctly aware that it is more than just a way of life in this town. In Ireland people joke that we have Guinness running through our veins, but the people of Morimachi may very well have green tea running through theirs. They surely have green tea in their DNA. As after visiting it on a one-day trip of a lifetime, my eyes were opened to just how much green tea is entwined into their very existence, not just their daily lives. Take the shrine for example. On the first of the month they offer green tea from the area to the Gods in a traditional ceremony with a rich history. The green tea they offer the Gods is the same green tea that the locals drink, distinguishing them from other shrines who only offer a special type of tea. 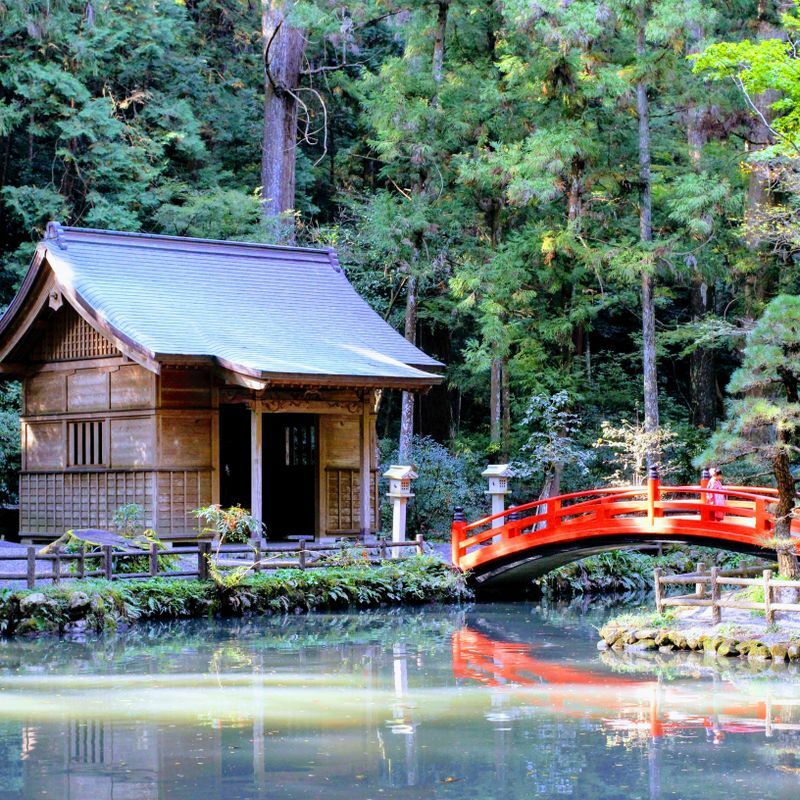 The Okuni Shrine unites the deities and the lay people with this simple gesture, defining the significance of green tea in the town and in the psyche of its people. On the grounds of the shrine there is a ceramic workshop, Enshu Mimoroyaki Bessho Kama, where green tea cups and pots (among other things) are glazed with materials found on the lands of the shrine. The pieces are beautiful and unique in their composition. The aesthetics of the way of green tea further enhanced by these delicate pieces. At the torii entrance to the shrine grounds lies Kotomachi Yumei Komichi, pictured above, an alleyway peddling green tea and green tea flavoured products. The unforgettable waft of boiled, baked, grilled, fried and even pure green tea fills the air in luring temptation. You can sample many of the green tea delights in this quaint themed rest area. 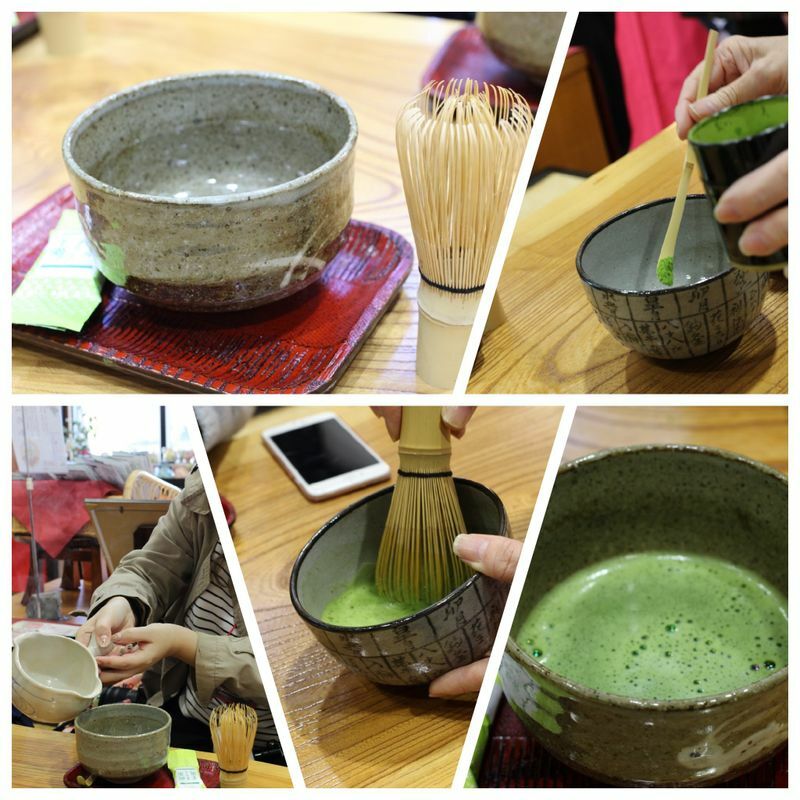 The brand-new Mori No Cha tea shop offers a great variety of green tea and we had the very fortunate experience to sample some green tea in this shop. We also tried some Matcha Warabi Mochi which I found much more delectable than the usual Kinako dressing. In other shops in the area you can try green tea flavoured ice-cream, dango, sembei and even pasta, to name but a few. At Osadaen, our first stop on November 15th, 2017, our senses were aroused as we walked in the door. The distinguished and refreshing aroma of green tea leaves infusing over tea candles greeted us intensely. 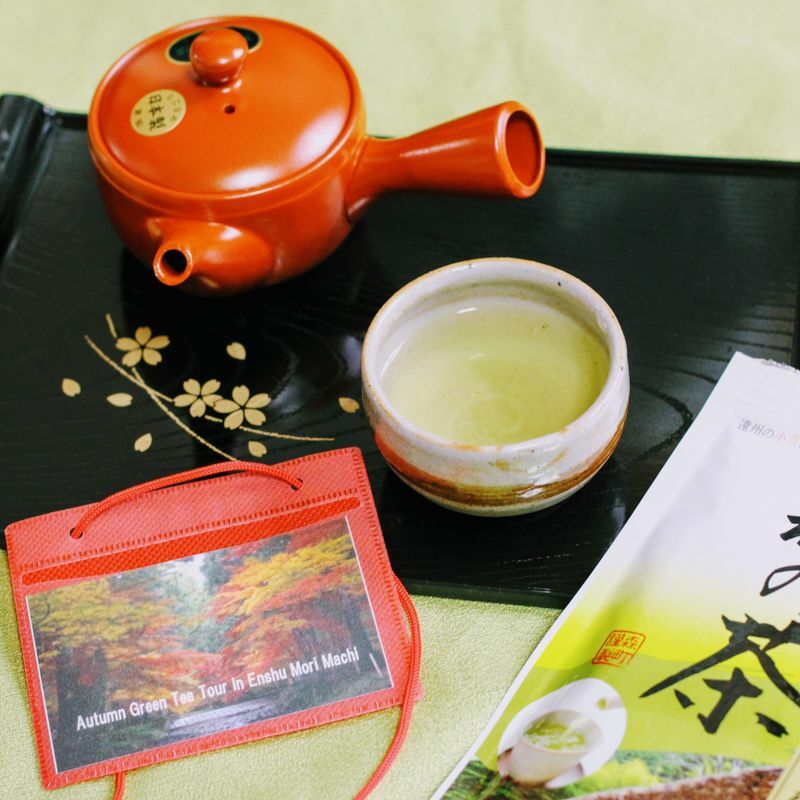 Osadaen, is a highly acclaimed and award winning green tea retailer and distributer. There, their tea taster Natsumi Osada, is a qualified 8th DAN taster making him one of the more experienced and recognized tea tasters in Japan. And as if that wasn’t enough he is also an award-winning champion of Japan’s National Tea tasting competitions. The taste and smell of tea is intrinsic to them. A purveyor of Osadaen showed us how to make matcha. She explained how to whisk it in the shape of an M to stir the powder at the bottom, before moving to the top to develop a froth. She finished off with a delicate whisk in the shape of the Japanese hiragana for “no” to present us with a picture-perfect cup of frothed green tea. She made it look easy, but on my turn, I just couldn’t get the movement right. For our demonstrator it was inherent. As I write this I am sipping green tea from a beautiful one-of-a-kind cup I received from Enshu Mimoroyaki Bessho Kama as a generous keepsake. I am savouring the tea which is high quality and superior taste, compliments of the Mayor of the town. The experience and my appreciation further enhanced by the fact that the tea was made in a traditional Japanese green tea pot very generously gifted to us by the head of Yamacho Meicha. This man, passionate about his company, its history and of course their products and services, volunteered some of his precious time to enthusiastically show us around the alleyway of green tea shops in Kotomachi Yumei Komichi. Likewise, our gracious hosts at Okuni shrine gave us not only their time, despite it being Shichi-go-san, but also showed us a great welcome and generosity. We were blessed, quite literally, to take part in a special ceremony within the shrine. Furthermore, they imparted some of their vast knowledge and impenetrable passion of the shrine and the area while we indulged in this month’s selection of green tea that was offered to the Gods on the first of the month. In Osadaen we were greeted by a fluent English speaker who patiently yet fervently divulged many details about their company’s operations as well as green tea in general. 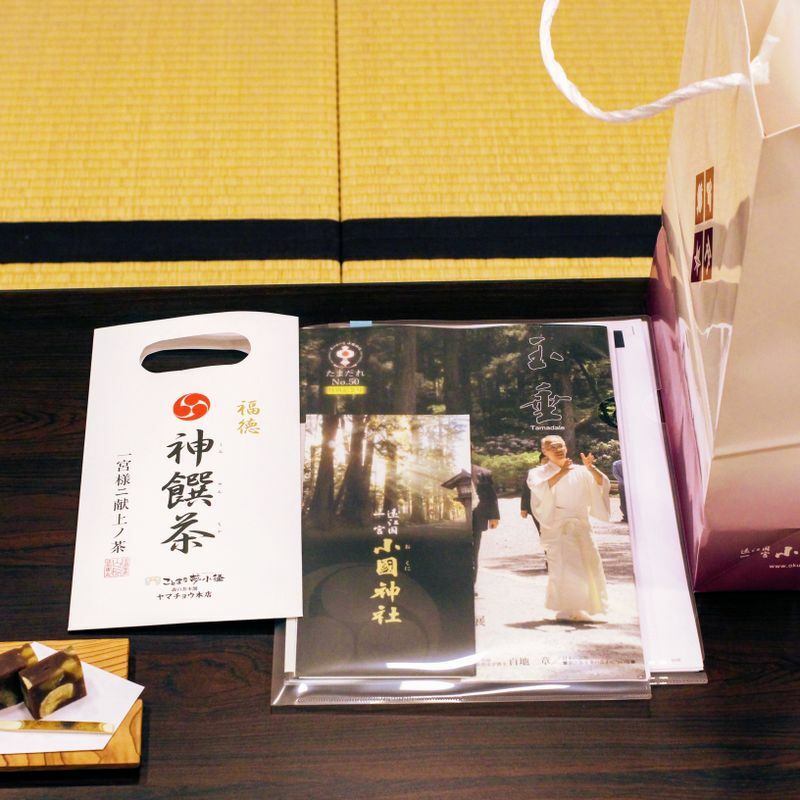 We were treated to not only delightful green tea, but to their unique and famous award winning Yamabuki Nadeshiko tea. They even gave us some to take home as well as a selection of organic green tea leaves. In store we sampled some green tea biscuits to bring out the flavour of the tea they had so thoughtfully prepared for us. We had some (surprisingly delicious) green tea flavoured yokan with our matcha. We received other gifts from each place too. For example, the Mayor of Mori-machi spoilt us with persimmons. The same persimmons that are sent to the Emperor each year. He also gave us a very unique product of the region: persimmon flavoured wine. We are keeping that up for the New Year to share with our family when they visit. At Okuni Shrine the head priest gave us beautiful chopsticks as well as green tea and bonito flakes. We were truly spoilt by the warm and generous people of Mori-machi. All of this was made possible by the unrelenting generosity and hospitality of the Chamber of Tea Association of Shizuoka Prefecture, who on both our trips to Shizuoka have welcomed us with warmth and kindness. They organize the tours, show us around and arrange for us to visit these impressive locations. They even treat us to our lunch; this time in the very impressionable and delicious Kume Kichi restaurant. They are earnest in their devotion to share the benefits and the allure of green tea. Likewise, their interpreter from the World Green Tea Association has showed us great warmth and enthusiasm and has been key in deepening our understanding of the way of tea. Thanks to their kindness and the incredible experiences we have with them, it has become my own objective to showcase the places we visit and the green tea products we try with the world. But ultimately it is City-Cost we must thank for these rare and enduring experiences as they co-ordinate with all involved to bring bloggers on these tours. My sincere thanks to City-Cost for affording this opportunity. 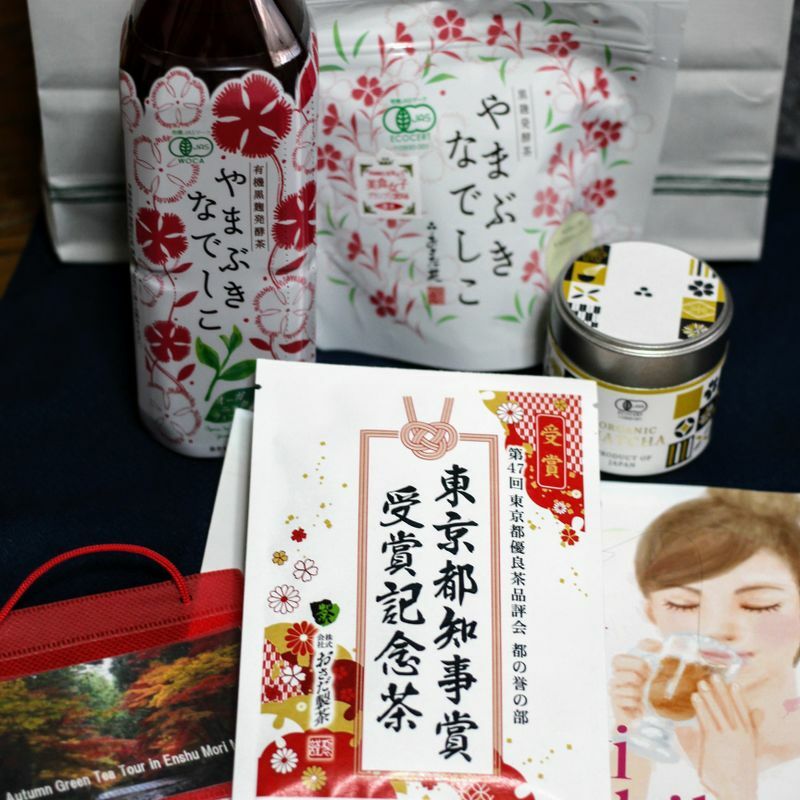 And while I am very grateful to City-Cost for inviting us on these tours and to the Chamber of Tea Association of Shizuoka Prefecture and all we meet for their kindness and hospitality; all impressions, reviews and opinions shared in this article are entirely my own. In summation, on our first visit to Shizuoka for a green tea tour I was impressed by the love and passion of the green tea purveyors we met at that time. I wrote how my own appreciation for green tea deepened thanks to the conveyance of their zeal and devotion. On this trip, my appreciation and understanding has deepened further, and I could see just how intricate the relationship is. It reminds me of how tea is pivotal in my own country’s culture, but in Shizuoka the relationship goes even deeper. The tea is grown, harvested, selected, produced and manufactured into both tea and other tea products in the area, of and around, Mori-machi. Almost everyone in the town is connected to green tea in some shape or form or is at least related to someone who is. The tea of choice in the area is that which has been produced locally. They eat, pray, love green tea almost instinctively. It is part of their culture that filters down into not just their livelihoods, but into their technology, science and even art. This idyllic town has so much to offer in hospitality, natural beauty, food and beverages as well as points of interest. But moreover, it is the practically tangible essence of the town and its people that leave you with a lasting impression. 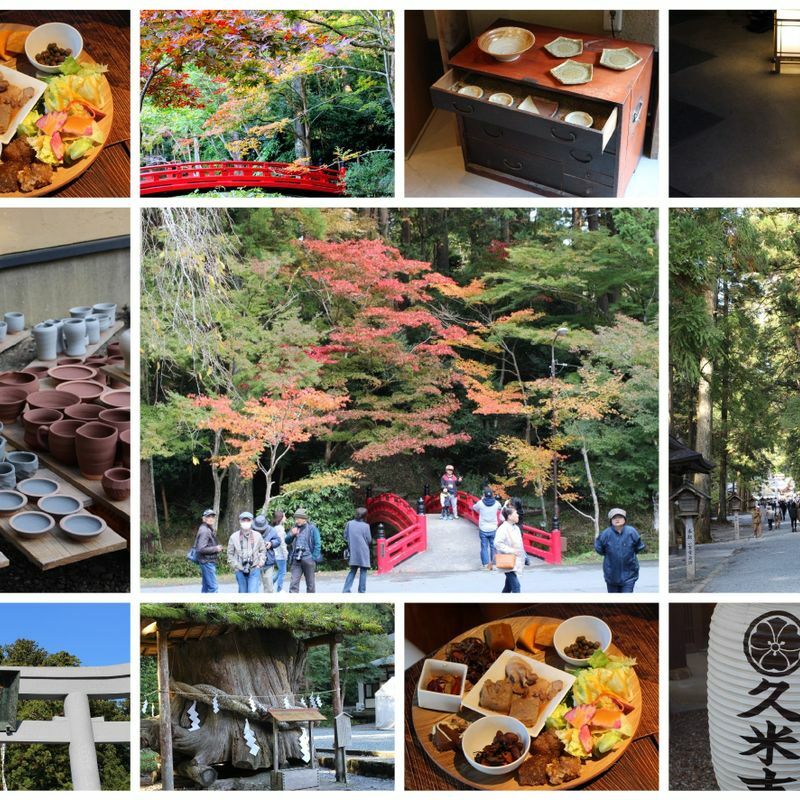 Unwittingly, our various hosts throughout the day revealed so much more to us on this last trip and left us with a deep appreciation of how green tea is more than just a way of life in Mori-machi Shizuoka. Beautiful recap of the day - it truly was something extraordinary! So great to have met you in person, I hope our paths cross again!